PyCharm is a full-featured IDE for Python and Web development environment (IDE) used in computer programming, specifically for the Python language. It is developed by the Czech company JetBrains. It provides code analysis, a graphical debugger, an integrated unit tester, integration with version control systems (VCSes), and supports web development with Django. It has a built-in debugging support, Docker and Vagrant support, embedded Git control, Anaconda support, syntax highlighting, code completion, ssh terminal, code refactoring and rich navigation capabilities. PyCharm is cross-platform, with Windows, macOS and Linux versions. The Community Edition is released under the Apache License, and there is also Professional Edition with extra features, released under a proprietary license. You can find more information about the differences between the two editions here. Intelligent Python Assistance – PyCharm provides smart code completion, code inspections, on-the-fly error highlighting and quick-fixes, along with automated code refactorings and rich navigation capabilities. Web Development Frameworks – PyCharm offers great framework-specific support for modern web development frameworks such as Django, Flask, Google App Engine, Pyramid, and web2py. Scientific Tools – PyCharm integrates with IPython Notebook, has an interactive Python console, and supports Anaconda as well as multiple scientific packages including matplotlib and NumPy. Remote Development Capabilities – Run, debug, test, and deploy applications on remote hosts or virtual machines, with remote interpreters, an integrated ssh terminal, and Docker and Vagrant integration. Built-in Developer Tools – A huge collection of tools out of the box: an integrated debugger and test runner; Python profiler; a built-in terminal; and integration with major VCS and built-in Database Tools. Before Installing PyCharm, make sure you are logged in as a user with sudo privileges. 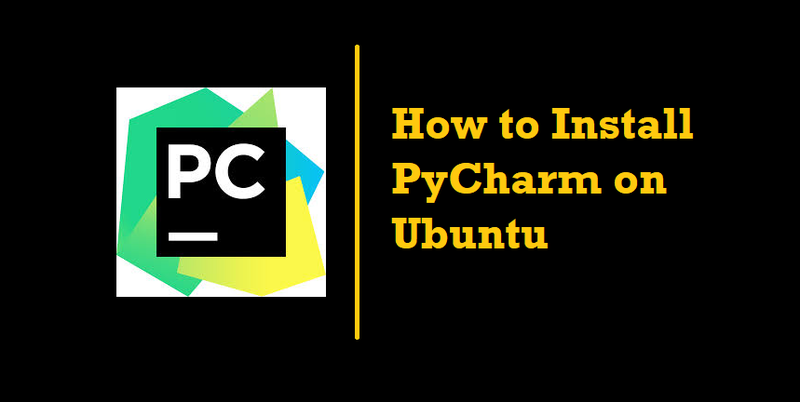 Alternatively, you can install PyCharm CE using the Ubuntu Software Center.